Lothar Matthaus has savaged Germany's World Cup flops after their stunning defeat to South Korea on Wednesday. 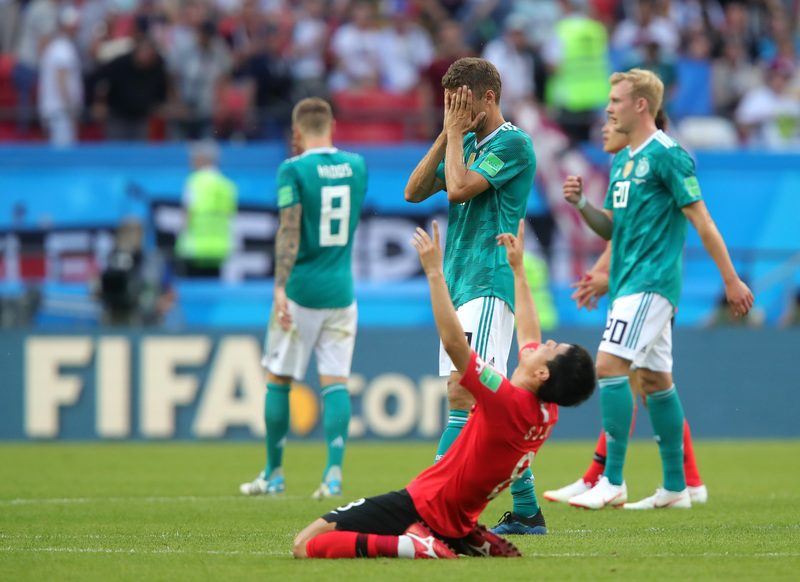 The world champions were beaten 2-0 by the Asian side, with late goals from Kim Young-gwon and Tottenham star Son Heung-Min condemning Joachim Low's team to their first group stage exit of the modern era. Germany subsequently finished bottom of Group G, having also lost to Mexico, and only squeezed past Sweden with a dramatic injury time free-kick. Matthaus, who won the World Cup in 1990 and also tasted European Championship glory in 1980, insists that his contemporaries deserved their defeat, and believes there has been a role reversal, with Germany now in the same position England have been in over previous years. "Now I know, a little bit, what it must have felt like to be an England fan for so many years," he wrote, in a column for The Sun. "But in Germany we cannot complain. We ended up with the outcome our performances deserved. "Maybe we were lazy, or just over-confident. The sun has been shining on Germany for the past few years. But today will be grey, with heavy rain. "I have never seen a German side play so badly for three successive games at a World Cup. It was not a Germany I recognised at all. "At home the fans are shocked and surprised. But I am not angry that we have gone out. I am angry at the WAY we have gone out. "For the next few weeks there will be much debate about the reasons. For me, while Joachim Low will stay as coach, this has to be the end of the generation that won in 2014. Right from the start, in the game with Mexico, I could see things were missing. "We did not have the right squad. We did not have the team spirit. We did not have the passion. And we did not have the leaders." Matthaus believes that Low got decisions wrong throughout the tournament, and has called on the national set-up to rip up certain plans and start again. Indeed, the former captain has singled out Mesut Ozil for particular criticism, insisting that he must now be ostracised from the selection, along with a number of players, including goalkeeper Manuel Neuer, who made a horrendous error before South Korea's second goal, losing the ball in midfield. "I still cannot understand Joachim’s decisions for the Korea game. He got it so wrong," he wrote. "He dropped Mesut Ozil and Sami Khedira after the Mexico game. We were slightly better without them against Sweden yet they both came back in yesterday. Why? I can only think it was out of loyalty, because they won the World Cup for him four years ago. "But they are not the players they were then. Their body language is wrong. They have lost the passion and mentality they had. "When I look at Ozil, I don’t see the player I used to see. He has lost his pace, and I don’t like the way he plays any more. It’s the same with Khedira. "That was just part of it. Every good German team has strong leadership in the side. This was a Germany without a leader. It was, for me, a ship without a captain. And that meant nobody could steer them to the right port. "So now we must change. It is time for Ozil to go, Khedira, even Mats Hummels and Manuel Neuer." And, in perhaps the most demeaning climbdown for Matthaus, he believes England are better set for success over the next few years. "This morning, I wake up a little jealous of England. You are still in the World Cup, with a young, quick team and a proper striker. But we will be back. We will be back."